Behind the pocket doors hides the perfect space to store your wine and spirits out of sight but within easy reach. 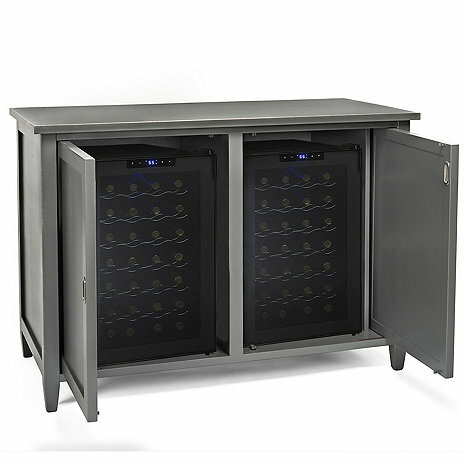 Each of the two interior compartments can be used to house a 28-bottle wine refrigerator. The left side compartment includes two sliding, removable shelves. This item ships via White Glove Delivery from our wine cellar warehouse located in New Jersey. Can I get one wine refrigerator and one beverage refrigerator?